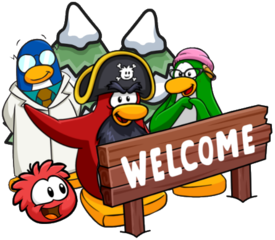 Earlier today, all four members of the Penguin Band made a surprise visit on Club Penguin Rewritten, even having an exclusive background! 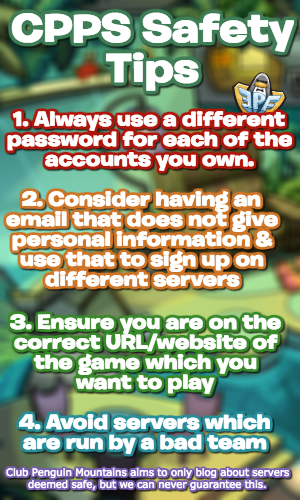 Many penguins were not able to catch them online, which is unfortunate especially as they are distributing a background exclusive to this party. The good news is that the Band will be making at least one (maybe more) more visit during the Penguin Play Awards! Along with this, the team has re-enforced that they are ensuring that mascot times are balanced for different timezones! A result of this was today’s visit, which I think was fair as there will likely be visits at other times too! Be sure to check out our trackers for an increased chance of meeting a mascot, thank you very much for reading!